Another day, another four frankenflavors. You reap what you sow, which means whoever out there suggested that it would be a great idea to make cappuccino-flavored potato chips has turned that freaky bit of frankenfood fantasy into reality. 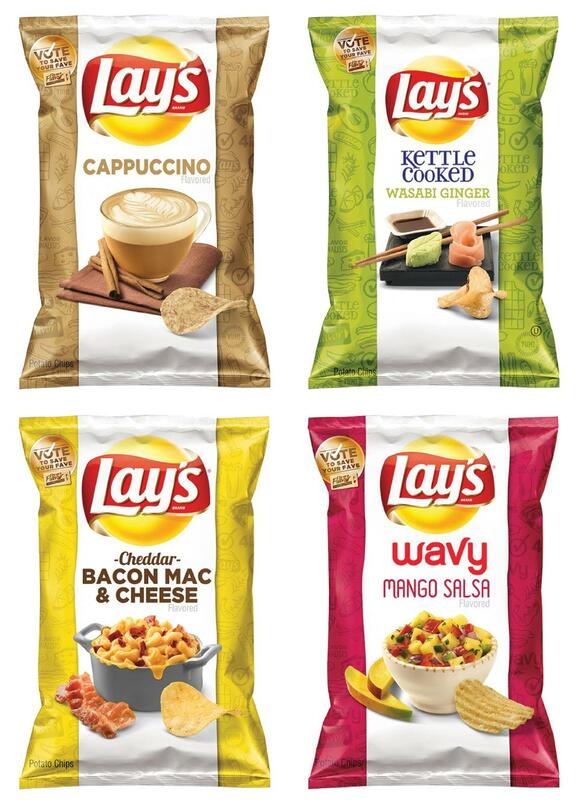 It’s down to four flavors of Lay’s potato chips in this year’s Do Us A Flavor competition from Frito-Lay, which is actually more of a PR stunt designed to get consumers engaged in the hopes that we’ll all run out and buy a lot of wacky chip flavors. That being said, Cappuccino is joined by fellow finalists Cheddar Bacon Mac & Cheese, Mango Salsa and Wasabi Ginger. Which makes three food-like flavors and one that belongs in a hot drink destined for a tired body, but whatever, you all did this. There’s no actual caffeine or coffee in the chips, by the way. The four flavors will hit shelves later this month, with voting open to decide on the public’s favorite running through Oct. 18. The winner will join the triumphant 2013 winner Cheesy Garlic Bread in the annals of customer-created flavor fame, and win its inventor a $1 million reward.